Most older adults in Indiana have a friend or family member who has experienced a significant fall. One in three older adults in this country experiences a fall every year. For people over the age of 65, falls can have serious consequences. They are the leading source of disabling injuries among seniors. In 2010, 2.3 million seniors ended up in the emergency department of a hospital due to a fall. 662,000 of them were admitted because of the extent of their injuries. According to the National Council on Aging, that equates to one senior being taken to the emergency room every 14 seconds as a result of a fall-related injury. Taking a proactive approach to prevention is the best way to avoid becoming a statistic. Make sure you have a routine eye exam every year. Vision problems are a leading cause for falls among older adults. Identifying and treating changes in your vision and potential issues can help you stay safe. Take a good look around your home. Experts will tell you that one third of the falls that cause injury to seniors are due to environmental hazards such as poor lighting, uneven floors, torn carpeting, loose stair treads and more. If you aren’t sure how to identify problem spots in your home, talk with your primary care physician. 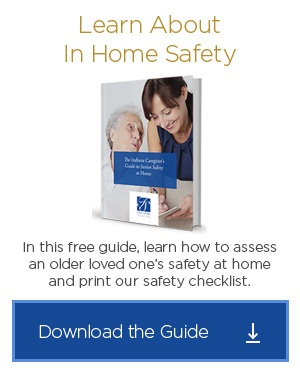 They may be able to recommend a therapy company to conduct an in-home safety assessment. Get regular exercise. Older adults sometime think they are decreasing their risk for a fall by limiting physical activity. Just the opposite is true. Routine exercise and strength training can help with core strength, balance and flexibility. All of these can lower your risk for experiencing a fall. Review the side effects for each of your medications. Some medicines are known to cause dizziness and problems with balance that might create a fall risk. This list includes a few of the most common ones. If you have any questions or concerns, check with your physician or pharmacist for advice. Make use of assistive devices. If you feel you are a little unsteady on your feet, an occupational therapist can be a good resource for helping you find ways to stay safer at home. It might be a shower chair for the bathroom or a lift chair for the living room. A therapist can make recommendations to minimize your risk for a fall. Use a walker or cane if it has been ordered by your doctor. One of the greatest frustrations physicians have in helping older patients stay safe is how non-compliant many are with these devices. This is especially true at home. Most falls seniors experience happen at home, yet it is the environment where seniors are least likely to use mobility devices. Making a commitment to using your walker or cane inside your house as well as outside of it can help you avoid a fall. If you have questions about how physical or occupational therapy can play an important role in helping you decrease your risk for falls, we invite you to call the Five Star Senior Living community closest to your Indiana home. Our experienced senior care team will be happy to help! Do Medications Impair Senior Drivers?